The lawsuit alleges that Facebook gathered biometric information without users’ explicit consent. It involves the “tag suggestions” technology, which spots users’ friends in uploaded photos; the lawsuit says this breaches Illinois state law. On Monday, US District Judge James Donato ruled to certify a class of Facebook users – a key legal hurdle for a class action suit. The class of people in question is Facebook users “in Illinois for whom Facebook created and stored a face template after June 7, 2011”, according to the court order. The decision comes days after Facebook CEO Mark Zuckerberg faced intensive questioning by US lawmakers over the company’s collection and use of user data. June 2011 was the date on which Facebook rolled out its “tag suggestions” feature. 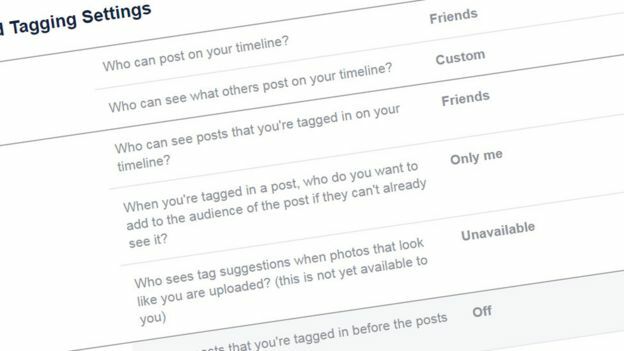 “If you’ve never been tagged in a photo on Facebook or have untagged yourself in all photos of you on Facebook, then we do not have this summary information for you,” the company says. The feature is not available to users in most countries, including the UK – and can be turned off in settings for US users.